5 bedroom Penthouses with 330 m2 of accommodation, set on two levels on the third and fourth floors.The penthouse / apartment has an unique and spectacular beach front location and is decorated to the highest standard, incorporating the latest technologies in the market. The Jacuzzi on the top terrace gives it that extra special touch.Breathtaking ocean views and a large communal pool offer a delightful environment for a peaceful and relaxing holiday. 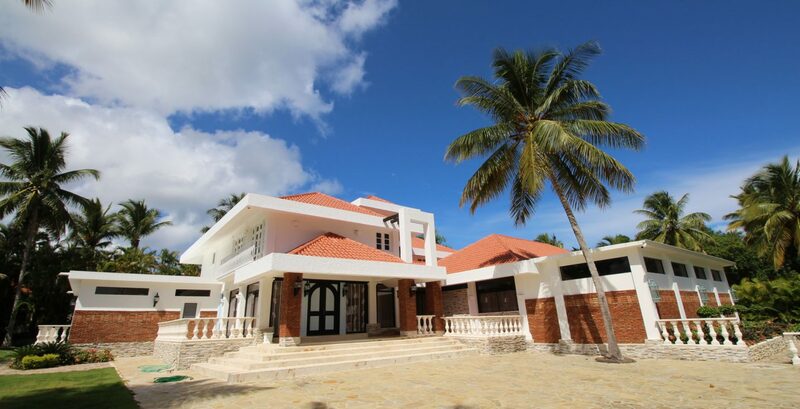 The property is located between Sosua and Cabarete, so amenities such as beaches, tennis, sports, restaurants, shopping centres are only a short drive away. Stunning, open plan living accommodation, sumptuously furnished and very well equipped. The living room offers plush sofas, a 42” large plasma screen TV, Cable TV featuring US, European and local programming, DVD Player with MP3, Wi-Fi Broadband internet access is available for those needing to stay connected with business or friends during their vacation. Fully equipped kitchen. 5 bedrooms and 4 bathrooms. Rental Rates: $3,900 month + electricity long term rent only ! !